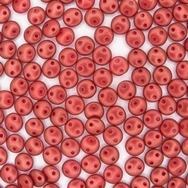 This is a pack of 25 Halo Cardinal, glass lentil beads which are about 6mm. They have two holes are were made by Starman for their CzechMates range. 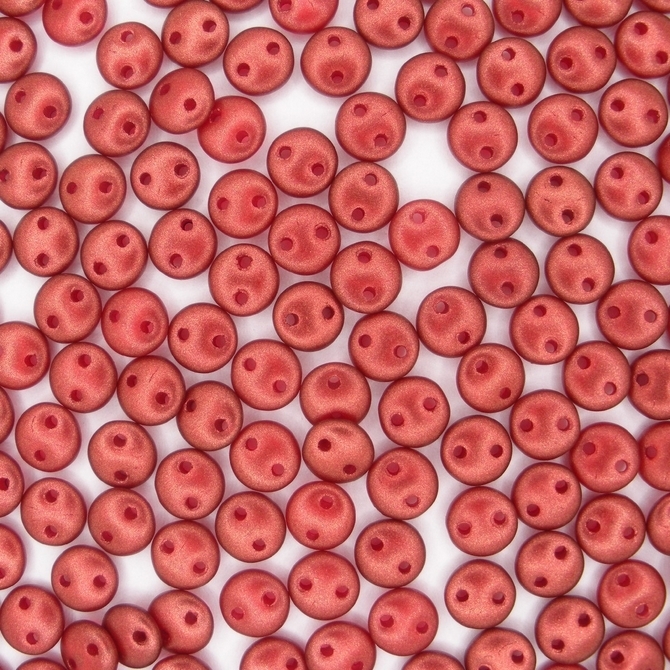 The holes are approximately 0.8mm in diameter.